The Joseph & Berry Luxury Remodeling story is one of big dreams, innovation, and love for beautiful spaces. These qualities are the foundation on which we have built our design/build firm in Dallas, TX. It’s a story about partners that played against all odds, dragged their families across continents just for doing every day what they are passionate about, which is to design and build homes. Joseph Tsedaka began his career as an attorney before returning to his first love. He had his life all planned out. High school, special forces, law school, suits and ties, and the whole shebang. It took only a short time in this routine before he knew that this life was not for him. Growing up with a fashion designer mom and a dad with love for nails and hammers and a long legacy of builders in his family, this left no room for mistakes. Design build runs in his blood. He quit his job and never looked back. Berry is a craftsman in his soul. There is no single part of his childhood home that was not reshaped or repurposed. He was trained as a carpenter and learned all the great secrets of a true builder. Others saw his managing skills which took him far away from his true passion. 15 years as a high-tech company senior manager came to an end in one single phone call – it was Joseph on the other line. Next stop: New York and Dallas. They started with very small projects. Specialized in fine details, going from one project to another, word of mouth, one friend calls another, before they have decided to make it official: Joseph and Berry luxury remodeling. Years flew by and the passion fueled their talent and unique innovative approach that built their unsurpassed reputation among the elite clientele in Dallas, as the go-to company for high quality design build and luxury renovation. Joseph and Berry had won many design and construction awards such as Best in America living, NARI contractor of the year, Best of Houzz, Top choice award and many more. Their projects were featured in magazines in the U.S and Europe. Joseph and Berry specialize in luxury remodeling including custom home build, whole house renovation, kitchen, and bath design and remodel. Scroll down to learn more about what makes us different! Using Joseph & Berry as your design­-build firm means one point of contact for every aspect of your project. Our only job is to make your dreams come true. Architecture, design and construction are all part of our in-house team. Our focus and goal is to ensure that all elements of your project run smoothly and exceed your expectations! The Joseph & Berry process ensures seamless communication between everyone involved in your project resulting in an exceptional design and higher quality build. Contact us to learn about our unique building process designed to improve efficiency and provide the highest quality results. Your one point of contact. Your project manager will ensure all plan are being executed as planed so you home will be ready on time and to your satisfaction. We take pride in our hard work and the recognition for it. 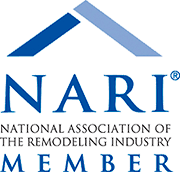 Joseph & Berry were announced as Contractor of the Year in Dallas by the National Association of Remodel Industry (NARI) twice in a row along with other prestigious awards. We value your time and know you can't always be on site to view progress on the field. Using the Joseph & Berry app will allow your access to live portal with detailed schedule, pictures and updates from your project manager. Joseph & Berry stands behind all of our projects and values your peace of mind. So much so that we offer you a lifetime warranty on our work.